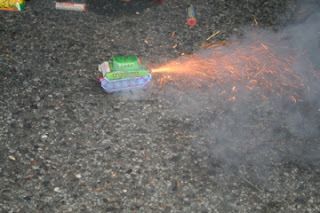 We got together with some friends to cook out and shoot a few fireworks!! 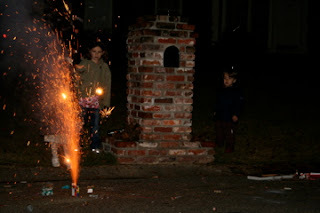 The kids LOVED it and weren't scared this year. 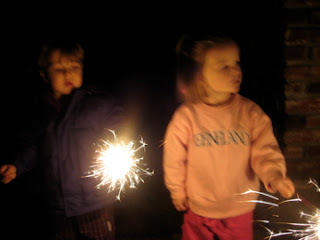 Grace and Landon with their sparklers! 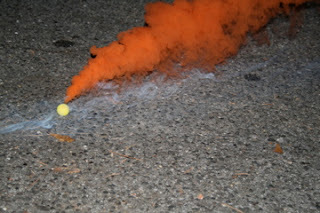 A smoke bomb - there were many colors! 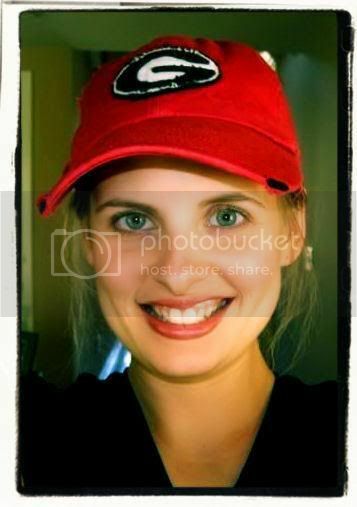 I can't wait to see what 2008 holds for us! 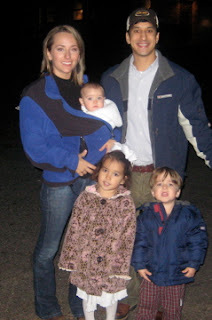 My prayer is that we continue to follow God's plan for our family, grow closer to Him and stronger as a family! Blessings to everyone! 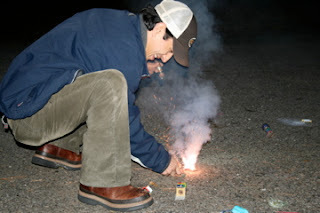 Your New Year's Eve was definitely filled with more excitement than ours! Ours was spent driving from Atlanta and then watching someone do some fabulous fireworks from our bedroom window. Glad you guys had fun!!! happy new year! Looks like a fun night!! 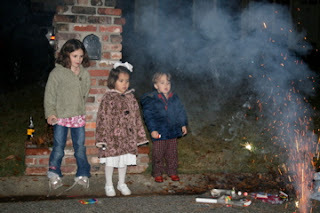 Our kids were fast asleep when the new year arrived! 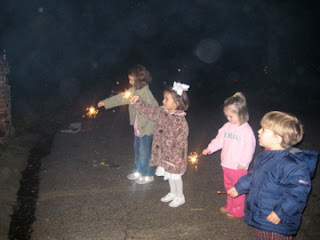 :) We watched the ball drop at 11 for New York and again at midnight! :) Glad y'all had a fun night!